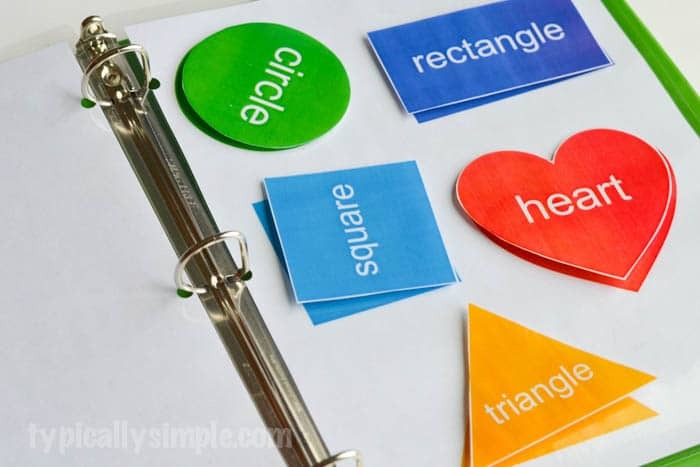 These printables are a fun way for the kids to work on their letter and number recognition. Grab a few crayons and start coloring to find the hidden pictures! I’m a big believer in hands-on learning and activities when it comes to early literacy, but once in awhile kiddos need something on paper to help them with certain skills. So I decided to make these hidden number and letter printables to help with letter and number recognition. 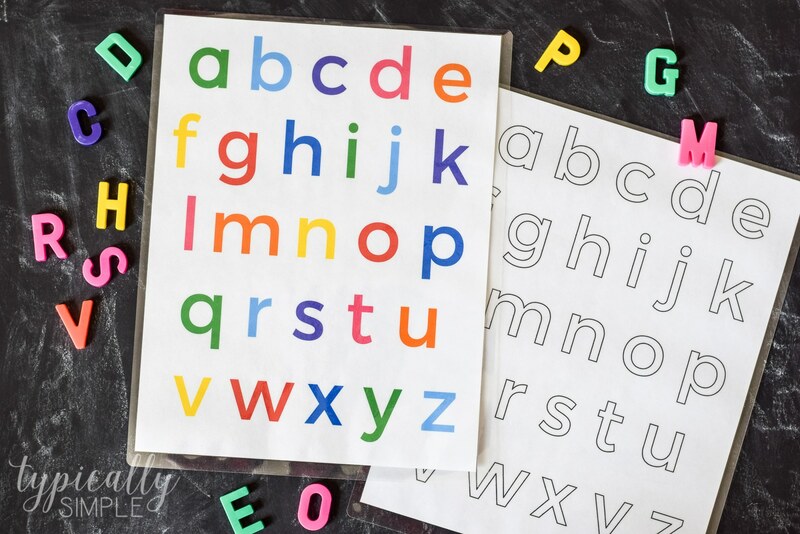 Many times uppercase and lowercase letters are taught separately; however the more I read about this, the more I’m seeing the importance of teaching them together. 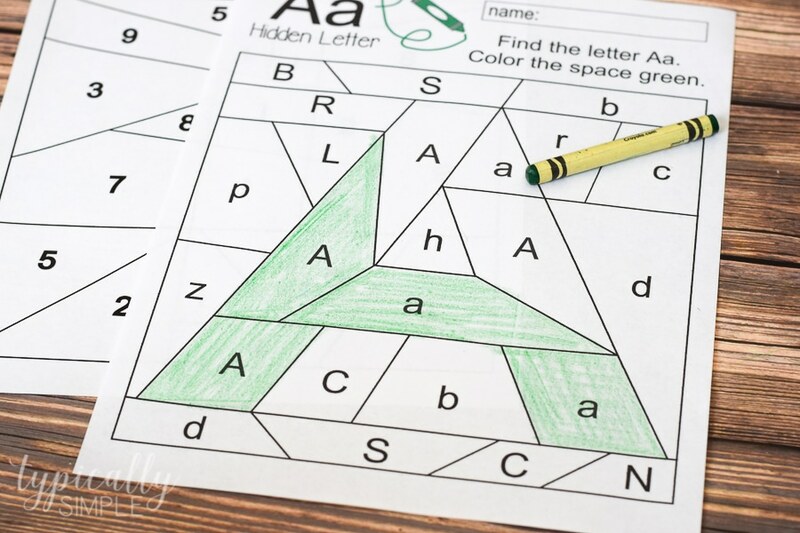 The hidden letter printable includes both uppercase and lowercase to help kids start to recognize that the letter A can look different. 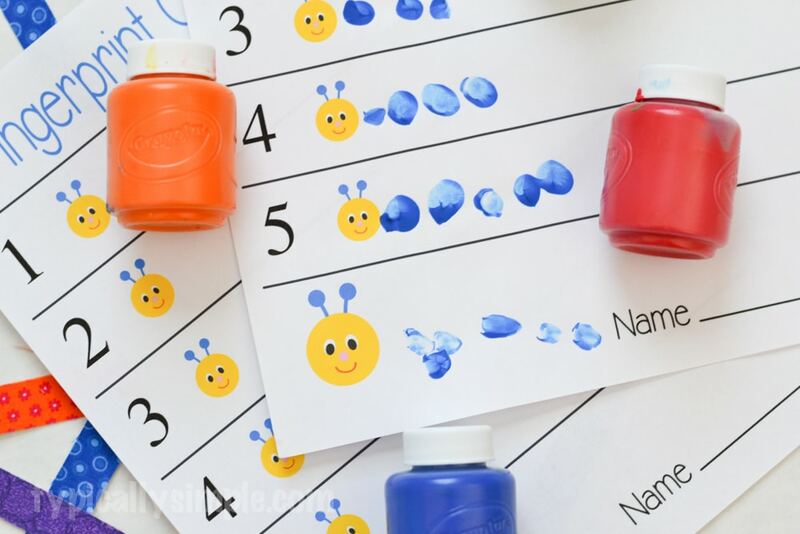 These printables are not only great for working on letter & number recognition skills, but also fine motor skills. Show and encourage your child to use a proper grip on the crayon or marker while coloring the shapes. 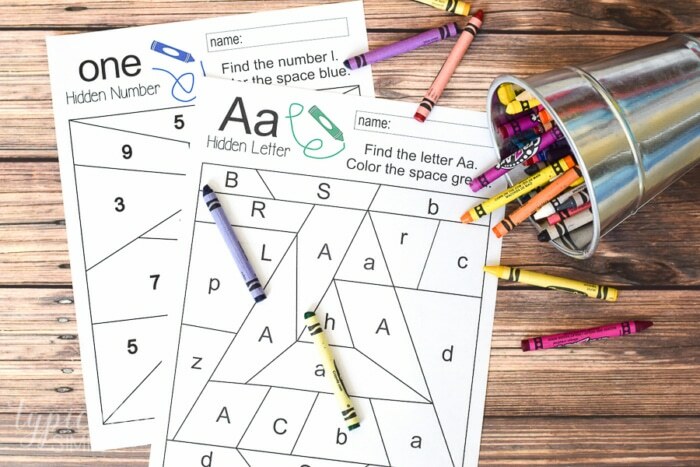 You could also discuss how the lines create starting and stopping points for coloring inside a shape, point out shapes you see, or have the child say each letter or number out loud. Purchase the full set in my Printables Shop which is an instant download after check-out. 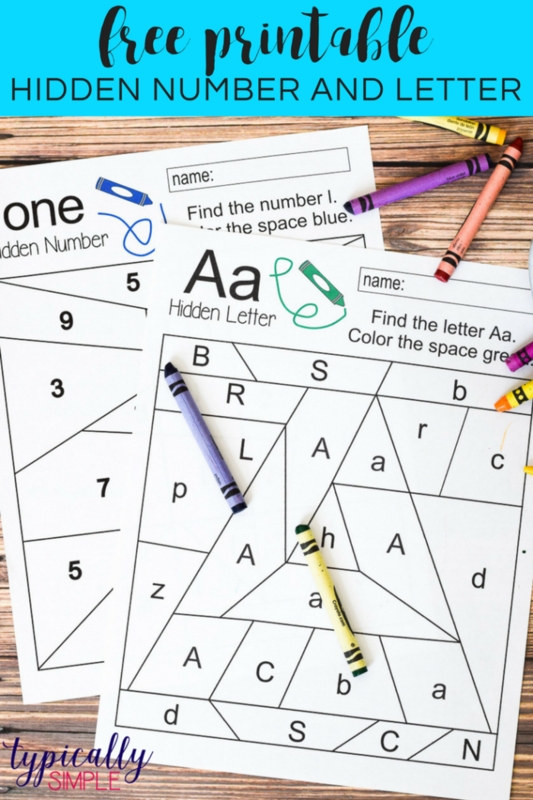 The Letter A and Number 1 worksheets are currently available as a free download.